-Ontario based burger chain, Big Smoke Burger opened with three scoop milkshakes and a beloved Canadian delight, poutine. -This new NYC outpost is owned by a Calexico mogul. -It is supposed to have a variety of Canadian and local beers, but they are currently waiting for their liqueur licence. -With the generous amount of cheese curds and gravy, the poutine ($6.50) is a major winner here. 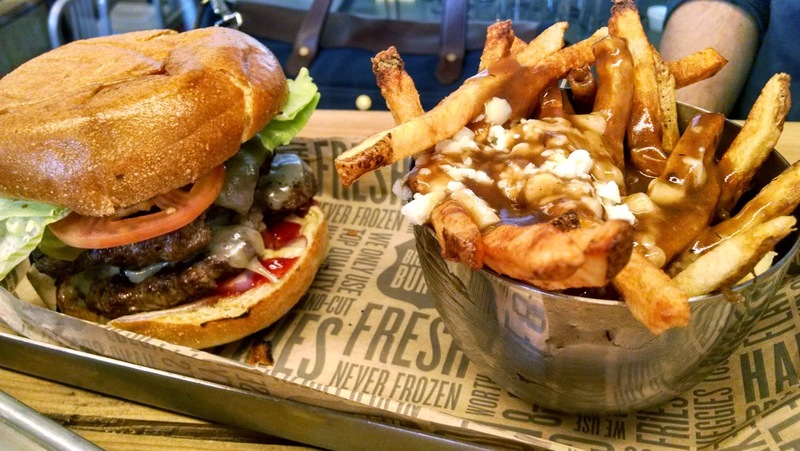 -For the burger, there are four to choose from: veggie pattie, chicken, lamb or organic beef. -RB's "Big Smoke Burger" ($8.95 horseradish mayo, caramelized onions, smoked cheddar, tomato and lettuce) was overcooked for his liking. This chain specializes in medium well burgers, so if you prefer some pinkish hue in your meat, this may not be the place for you. 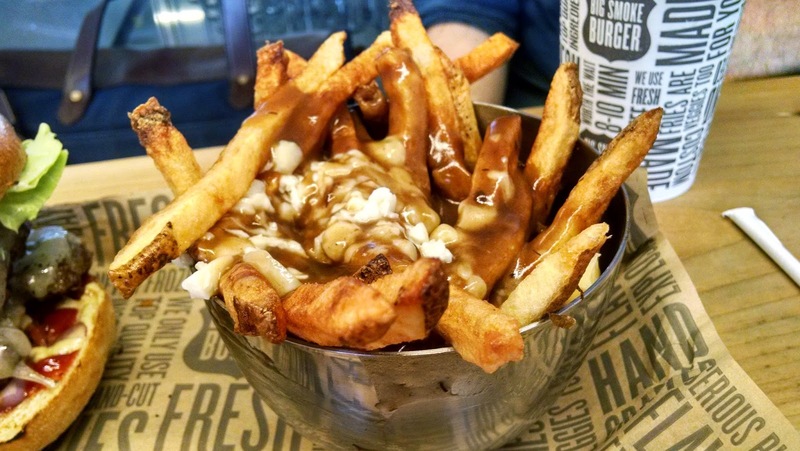 -Easy access to poutine is always a plus.